Less than a week after the House of Representatives voted to strip the Consumer Financial Protection Bureau’s power as part of a major regulatory rollback, the Treasury Department released a report recommending similar changes to the embattled regulatory agency. Treasury secretary Steven Mnuchin issued a sweeping criticism of the CFPB — along with other products of the 2010 Dodd-Frank regulatory legislation — in a report posted Tuesday, the first in a series of financial-industry recommendation papers that President Trump requested through an executive order in February. While nominally focusing on regulations covering banks and credit unions, Mnuchin’s report dedicated a significant quantity of ink to the Treasury Department’s official perception of the CFPB as an unconstitutional restraint on growth. “The CFPB’s combination of an unaccountable structure and broad, unchecked regulatory power is unprecedented,” the report reads. Like the Republican-sponsored Financial CHOICE Act, which passed the House last week, Treasury recommends that the government transition the CFPB’s oversight from a single appointed director to a “multi-member board” — or, at the very least, allow the president to fire the director at will. Currently, a president must prove cause to remove the CFPB director, a post held by Obama appointee Richard Cordray. The Treasury report also calls for placing the CFPB’s funding under congressional oversight, and preventing the public from reading entries in the bureau’s Consumer Complaint Database; critics of the CFPB have long protested that making public unverified complaints on a government website legitimizes all consumer claims, including those that might be untrue. The Treasury Department’s report also blasts Dodd-Frank for placing undue regulatory burdens on smaller banking institutions, parroting a familiar Republican line that the reforms — passed by Democratic majorities in the House and Senate in the midst of the recent recession — helped to kill growth by smothering community banks and credit unions with fees and regulations designed to target larger, “too-big-to-fail” institutions. Mnuchin’s paper is the first in a series of Treasury Department responses to President Trump’s executive order demanding a full review of the financial regulatory landscape; future reports will cover mortgage lending and a long-term outlook for Freddie Mac and Fannie Mae. This current report hints at future recommendations for scaling back loan origination and servicing regulations — in part to boost private mortgage lending’s stature relative to government-backed products. 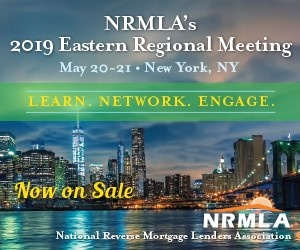 “Certain reforms would also promote a better national standard and help rejuvenate the private label mortgage-backed securities (PLS) market, helping to level the playing field between private sector mortgage lending and government-supported mortgage lending,” the report reads.